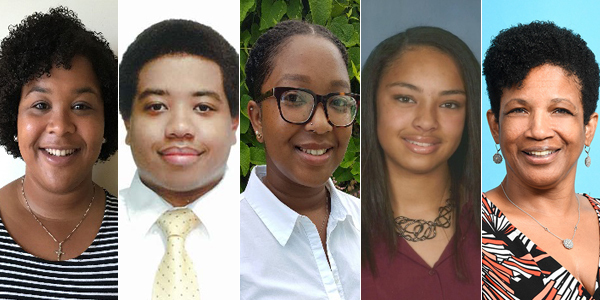 Ashley Phipps, Anthony Howell, Tanessha Ottley, Shaundrea Washington, and Sita Ingram have all been awarded scholarships by the St. George’s Parish Council. The Council said, “In keeping with the Scholarship Committee’s objective of providing funding to assist students reach their career goals, the St. George’s Parish Council presented scholarship awards to five deserving students who are studying in a variety of disciplines. The Scholarship Chairperson said each student received an award of $3,000.00 toward their education expenses. The Council said, “Ashley Phipps is studying a Bachelor of Arts in Child and Youth Study from Mount Saint Vincent University. She is in her final year and is due to graduate next year. “Anthony Howell is undertaking a dual Masters of Art and Masters of Science in International and World History. He is pursuing the degrees through Columbia University and the London School of Economics. “Tanessha Ottley is entering her second year at the University of Lincoln and studying a BA [Hons] in Social Policy. “Shaundrea Washington is studying a Bachelor of Science [Hons] in Veterinary Nursing & Practice Management from Harper Adams University.